If you adore being an excellent heavy vehicle driver and are looking forward to avail an incomparable service for varied trainings viz. LGV (HGV) training, PCV training and Driver CPC training then you should inevitably discover us; the unique GP training at Brentford. We render a personalized plan which is assured to make you prepared for the tests and help you gain any of your desired licensing from C1 – Licence and C1+E –license to licenses of C1+E – 7.5t and trailer, C – up to 32 tones and C + E Truck & Trailer. GP training is 100% assured to give its students the required guidance and support to efficaciously prepare him for the test to acquire a valid driving license. 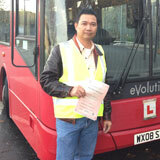 A top-quality lesson is always needed in HGV, driver CPC or PCV training. It is essentially because it assuredly assists you for a lifetime. We guarantee a pass protection which is a golden step to achieve your dreams. 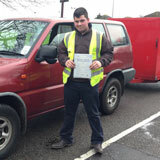 This is a stepwise driving test which shoots up your chances of getting through as high as 92%. Besides, our tutors are specialists in different modules of driving and their main aim is to make students gain what they dream. There are also the multi-language speaking instructors and all the instructors are approved by the DSA. Surprisingly, we offer the training courses in many languages like English, Hindi, Urdu, Hindi, Punjabi, Kashmiri, and many more. We also supply theory books and tests in different languages. So, if an applicant is nervous essentially due to the language barrier we are always there to help him. Immaterial of it being a PCV (Passenger Carrying Vehicle) such a D1 Minibus, D1 + E Minibus & Trailer, D Automatic Bus, D Manual Coach or D + E Coach and Trailer or an LGV/HGV (Large Goods Vehicle, Heavy Good Vehicle) training like a C + E or B + E car and trailer training we can provide the training and give you an incredible chance to get into one of the highest organizations in the United Kingdom like DHL, Enterprise PCL, HSS Hire, etc. The other exclusive offers that we supply to our students are the tremendous amount of pass rates and the super-competitive price that one may not find anywhere else. 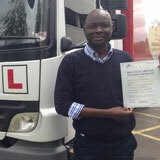 Those who are excellent learners could unbelievably get their HGV/LGV/PCV within 7 days. We also render you an access to over thousand prospective jobs. The other benefit of choosing us is the availability where you can get in touch with us 7 days a week and 365 days a year. Our executives will get back instantly and will submit you a solution that perfectly meets your needs. 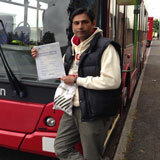 We cover not only the theory tests but also the practical studies that you require to prosper in this field. We will motivate as well as give you the needed confidence. Registering with us is a click away. You can also choose to call us and speak to our HGV/LGV/PCV expert. 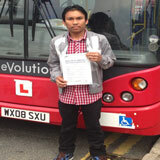 With us you will be shielded with PCV Pass Protection and CPC driver training. CPC effectually stands for Certificate of Professional Competence. This is a professionalized qualification via an updated directive of the European Union. 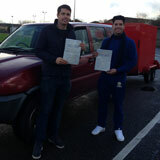 The main reason for this training is that it makes you highly skilled to drive vehicles with much ease and comfort. It as well increases the safety of a heavy-duty vehicle driver on the road. In addition, the one who desires to drive a heavy vehicle as his living opportunity needs to know the details of CPC case study and CPC theory test. The test is assimilated of two parts the theory and practical tests. The qualification of CPC is a must along with the vocational license for a legalized driving. 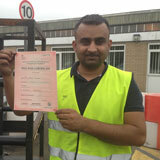 In addition, the employers cannot hire you as a heavy vehicle driver unless you have a CPC qualification. This qualification is indeed a new entrant in the GP training. So, those who are already driving heavy-duty vehicles should as well opt to gain this certification. Inevitably the requirements vary for each driver. 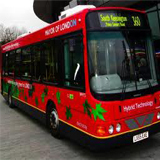 The coach and bus drivers in specific and lorry drivers in general who have successfully obtained their licences prior to 10th September 2008 and 10th September 2009, respectively need not undergo the initial training. No doubt, with an increase in the demand of professional drivers worldwide the GP training at Brentford of London assures you the most authenticated and invaluable placements. Our expertise and knowledge of LGV (HGV) training, PCV training and Driver CPC training is state-of-the-art information on driving safely and correctly on the roads.